The Sharp R1881LSY 1.1 Cu. 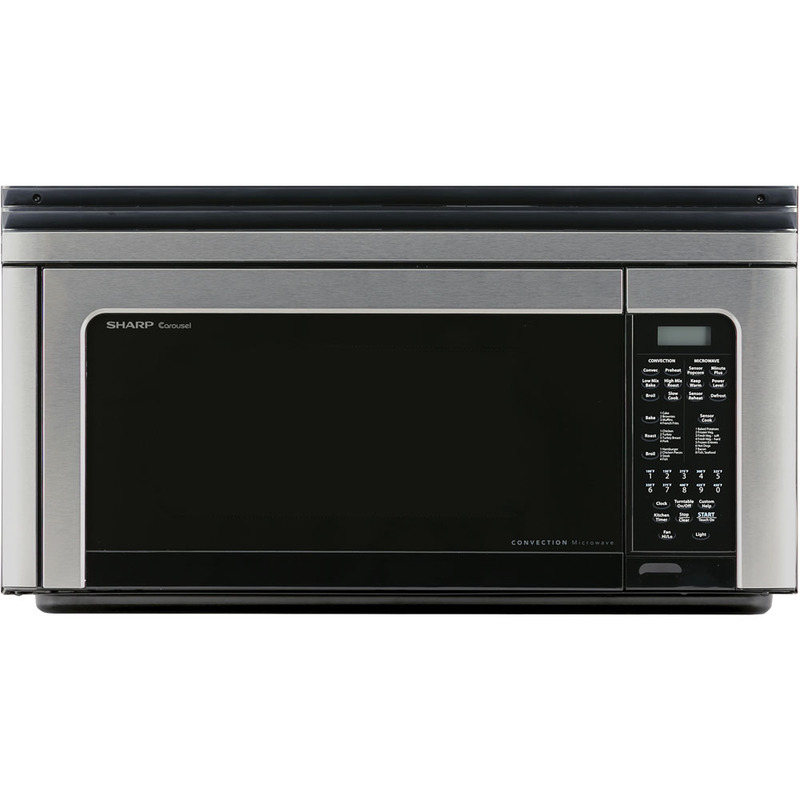 Ft. 850W Over-the-Range Convection Microwave Oven, in stainless steel, provides added room and simple installation while offering superior cooking technology and features for your home. The built-in exhaust system offers three convenient venting options - horizontal, vertical or ductless recirculation - to provide convenience for range-top cooking. The oven has an Interactive Cooking System with Custom Help key for easy-to-follow cooking and programming instructions. 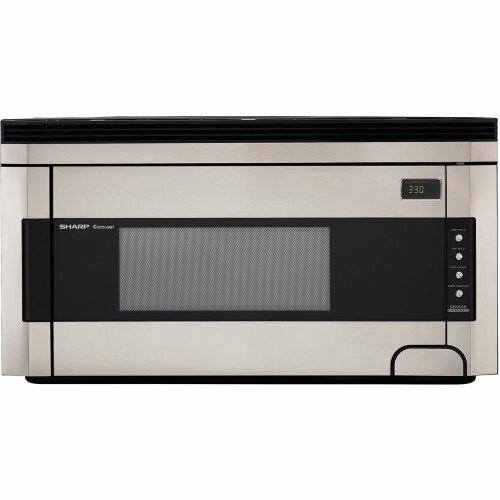 It is also equipped with a 4-way convection system that bakes, roasts, broils and slow cooks.Over-the-range convection/microwave oven with 1.1 cu. ft. capacity|850-watt microwave output and 1400-watt convection heater|300 CFM built-in exhaust system with high/low ventilation fan and incandescent hood light|13-inch ceramic turntable with on/off option|8 Sensor Cook settings including popcorn and reheat|Defrost, Keep Warm, Auto Start, and MinutePlus Key|Convection features include Bake, Roast, Broil and Slow Cook|10 convection temperature settings|7-digit interactive 2-color display and Auto-Touch control panel|Clock, timer, and audible signal elimination| r1881lsy| r-1881lsy| sharp| over| the| range| over-the-range| otr| convection| sensor| microwave| oven| carousel| ceramic| turntable| 1.1 cu. ft.| 850 Package Contents: microwave oven|turntable and support|low rack|high rack|manual|warranty This item cannot be shipped to APO/FPO addresses Sharp will no longer take back any Sharp product as a DOA.� This includes, TV, A/V Products, and any Sharp Appliances.� Please call Sharp at 1-800-BESHARP for service details.� We will not be able to accept DOA returns on this item.� Please accept our apologies.